Learn about the genealogy indexes available here or request a search of our indexes. 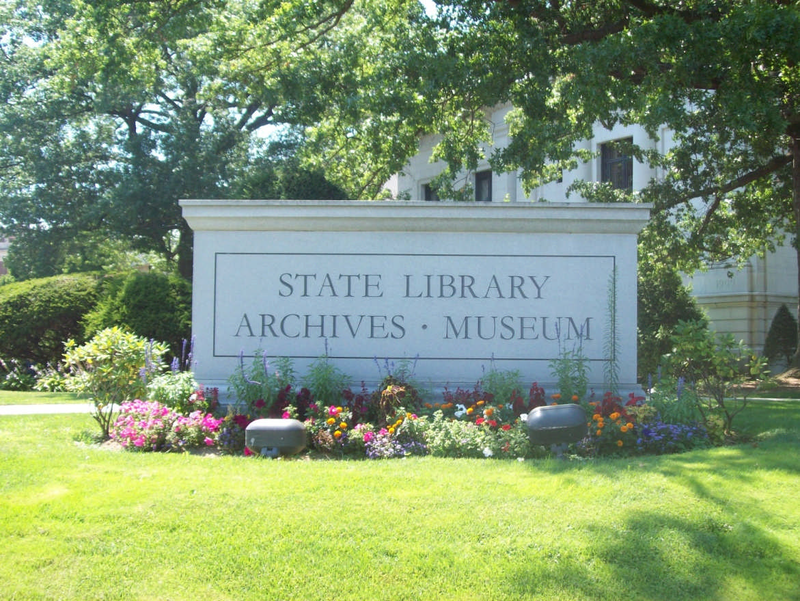 The Connecticut State Library has several indexes of information about Connecticut residents that record events such as births, marriages, and deaths. To learn more about the indexes please see the links on the panel to the left. To request a search of the indexes download the form below and send it in. Please note that this is a basic search service. Much of the information in the indexes can also be found on Ancestry.com and the Family Search website. Use this form to request a search of our genealogy indexes. View sample results of an index search. Do you offer genealogical research for people that cannot visit? The indexes searched are the Barbour Collection of Connecticut Vital Records, Bible and Family Records Index, Connecticut Census Index 1790-1850, Hale Collection of Newspaper Marriage and Death Notices ca. 1750-1865, Hale Collection of Connecticut Cemetery Inscriptions, Church Records Index, and Probate Estate Papers Index. See the link to the Genealogy Index Search Request Form above. Please read the instructions on the Search Request form carefully to insure that the information you need falls within the scope of our indexes and search policies. If you need more extensive research than that which this search service can provide, you may wish to visit the library personally. If that is not possible, you may want to hire an independent genealogical researcher. Genealogical organizations often maintain lists of their members who are available for private research. Accept genealogical inquiries by telephone. Attempt to solve problems of identification and lineage. Published and manuscript genealogies and local histories. Search for, or provide copies from, microfilms or microfiche. Search for, or provide copies of, articles or obituaries in newspapers. This includes copies of the notices abstracted in the Hale Collection of Newspaper Marriage and Death Notices. We have found that in most cases, the original newspaper articles contain little additional genealogical information. However, should you wish to search or obtain copies from the original newspapers and are unable to visit the library personally, you may employ a Professional Genealogist or you may borrow most microfilmed newspapers on interlibrary loan through your local library.